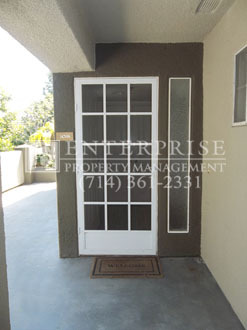 Below are properties we currently have available for rent in southern California. We update this page frequently as new vacancies become available often. Please remember, if you do not see a property that fits your needs below, we may be able to help you. Please click here – Help me Find A Rental - to tell us more about what you are looking for. Brand new built, unfurnished one bedroom one bathroom home, with 2 tandem vehicle parking spaces. No attached walls – and no neighbor above or below. This brand new beautiful home has it all, kitchen with brand new appliances: gas range/oven/exhaust, microwave, dishwasher, garbage disposal, and newer frig. Brand new soft close, cabinets and drawers, quartz-granite countertop, mobile island multi-function-work-center-seats two, two ceiling fans, storage, French doors to patio, linen closet in bathroom and hall, mini-split AC/FAU, tankless water heater, new vinyl waterproof flooring, full size washer dryer hookups, and private fenced yard. Any questions call or text 714 244-8060. Click on the "Enter Property Yourself" button at the top right side of the page & follow the instructions. 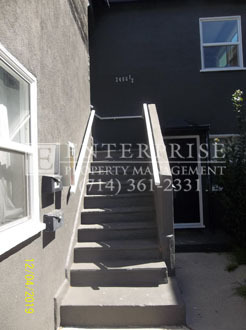 Freshly painted and new flooring throughout, this spacious 1 bedroom, 1 bathroom, is a delight. 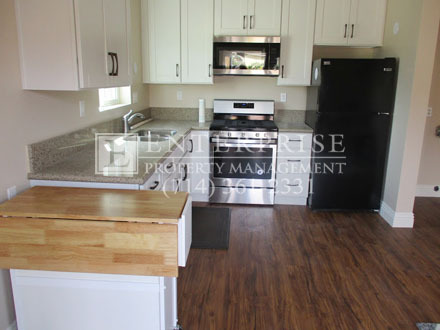 Kitchen comes with large pantry, newer granite countertops, and a large double sink. The hall leading to the bedroom has ample storage and linen space. This home also has brand new energy efficient double pane windows. You can also enjoy entertaining in your own private backyard, plus you will have one parking space in the shared garage directly in front of the home. FEEL THE OCEAN BREEZE. THIS UPGRADED DOWNSTAIRS 1 BEDROOM 1 BATH CONDO HAS 2 PATIO AREAS, NEW GRANITE COUNTER TOPS IN KITCHEN AND BATHROOM. UNIT COMES WITH WASHER/DRYER/REFRIGERATOR (No Warranty). Electric stove, Microwave, Dishwasher. Spacious living room with fireplace. 2 closets plus large entry closet. NEW TILE FLOORING IN KITCHEN AND BATHROOM. Tub Shower combo. Tenant pays electricity and cable. This gated community offers a sparkling pool and Spa along with a club house, one underground assigned parking space. One block from Main St and a short walk to the Ocean. Owner will allow a small pet under 20 lbs with additional deposit of $500. Additional parking space is available for $20.00 a month. 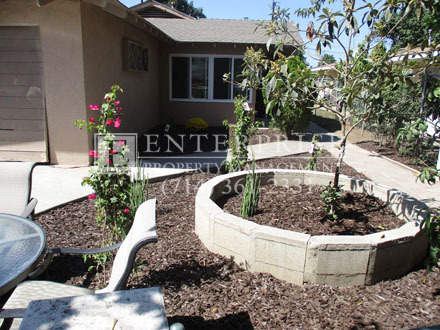 To schedule a viewing call or text (714) 244-8060 or call 714 542-6800 extension 103.